ISLAMABAD: Desperately seeking a Pakistani visa since September 2011, is a British national and a Sikh, Bobby Singh Bansal, also an international researcher, director and writer on Sikh Heritage, whose research proved that 80% of Sikh sites lie between Lahore and Jamrud. He has visited Pakistan several times in the past where the authorities have acknowledged his research. It is anybody’s guess as to why and which institution is creating hurdles in the path of a researcher who has no links with India, even though Sikhs from that country easily acquire Pakistani visas. “I have restored a Sikh monument in Ramnagar near Wazirabad in 2005. Now I write books and have become a documentary filmmaker with my debut film ‘The Sikhs of Kabul’, released in 2012 globally at various film festivals. Perhaps it would be easier for me to apply for a pilgrimage visa to Nankhana Sahib in April 2013. I also missed an opportunity mainly to attend the Trust for History, Art, Architecture of Pakistan (Thaap) Conference in Lahore where I was going to give a major lecture on Sikh Heritage in Pakistan and to launch my maiden publication”, he says. Bansal also wants to continue with his research of locating Sikh monuments that lay in ruins and to catalogue them for his next publication titled ‘Remnants of the Sikh Empire’. His Pashtun friends say that he is a friend of Pakistan and his work assumes greater importance because it will encourage Sikh tourists from around the world to visit places of interest in Pakistan in future. Bansal has won international awards in London, New York Delhi and several other places. He first attained fame for his ground breaking research carried on in 2004-8 mostly in Pakistan which led to the publication of his maiden book ‘The Lion’s Firanghis: Europeans at the Court of Lahore’ in 2010 which since has received 7 international awards in United States, France, India and UK. His findings established that 80 percent of Sikh heritage sites are spread in Pakistan in area from Lahore to Jamrud. 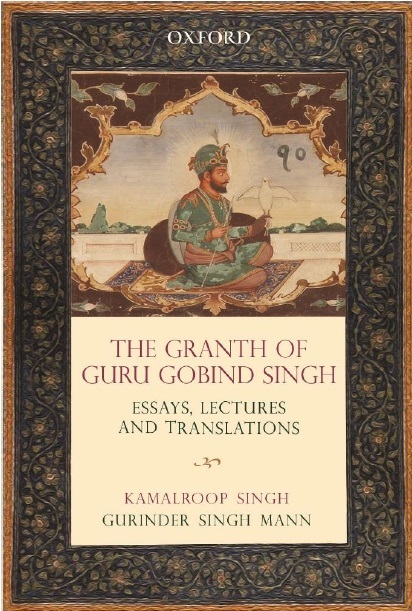 His maiden book charts the careers and lives of Maharajah Ranjit Singh’s “Firanghis” or “foreigners” back to Europe. He visited several of the European families and travelled to remote areas of Pakistan – Afghan border to compile rare material which transcends readers into the virtual opulence of the Court of Lahore. He is also involved in charity work in restoring historic Sikh-era monuments in Pakistan. “I want to conserve two Sikh monuments which was my intention to do last year. To restore the Tomb of Maharajah Sher Singh in Lahore and an old Haveli belonging to Raja Dhian Singh, Vizier of Ranjeet Singh in Lahore,” he adds. Bansal established the Sarkar Khalsa Foundation (UK) in 2003 to restore those Sikh monuments which have been abandoned or vandalised in Pakistan. “Since 2004 I have from my own pocket restored and preserved several keys Sikh related monuments in Pakistan, some being- the palace of Maharajah Runjeet Singh located on the banks of the Chenab River, erection of a boundary wall around the tomb of Maharajah Sher Singh in Lahore, restored fully the tombs of 3 Sikh soldiers near Ramnagar associated with the Anglo Sikh wars of 1848, All this work has been recognised by the relevant authorities in Pakistan,” says Bansal.